School and sports photography can be difficult at times. As a photographer, you’re capturing a special moment in someone’s life, but that person is an untrained model who may or may not want to be there. Plus, the time you’re able to dedicate to each shot isn’t always as long as you may want it to be, especially in high volume photography where efficiency is king. 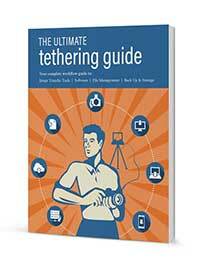 Shooting tethered can make your life as a school or sports photographer much easier. Not only does it simplify and streamline your workflow, but as the shoot is progressing you can view the images on a larger screen, then after the shoot presents the images instantaneously. You’re moving faster, you’re producing a higher quality of images, and the end result is a happy, satisfied customer. 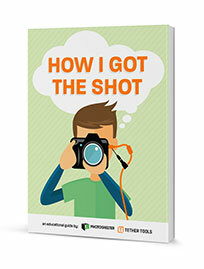 Instead of shooting to an SD card, you’re able to shoot tethered and instantly transfer to your computer – this no-hassle approach allows you to upload and organize your photos with less steps and stress. 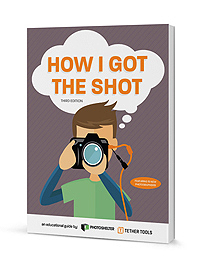 The quicker your photos are uploaded, the faster your client can proof and purchase. Simple, efficient, and a better way to do business. Perfect for school and sports portrait photographers, shoot tethered with the help of our innovative kits increase your efficiency by moving images instantly into your workflow software. By seeing the full resolution image on a large screen, you'll be sure you've got a great shot. 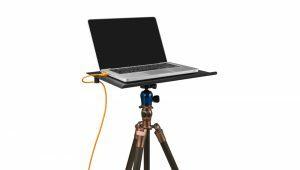 With wireless tethering you can shoot "tethered" to a computer tablet or phone up to 150 feet away, without the need for cables in between. 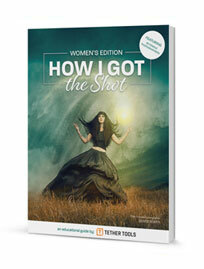 Check focus or move files and start post-processing almost immediately, all while keeping your set up to a minimum. We know that in high volume photography a simple and organized photo management strategy is key. Transferring images to a computer as you take them can speed up post process workflows by immediately initiating steps in the editing and file management stage, including the creation of an onsite back up. From solo and team shots to composites and memory mates, Tether Tools has high volume sports photographers covered with set ups that will their workflow run flawlessly. From team and individual work to school portraits, Tether Tools offers flexible options to create the perfect workstation for high volume school photographers.